Challenge #3 in the Life in the Natural World series. Hosted by RuthC. 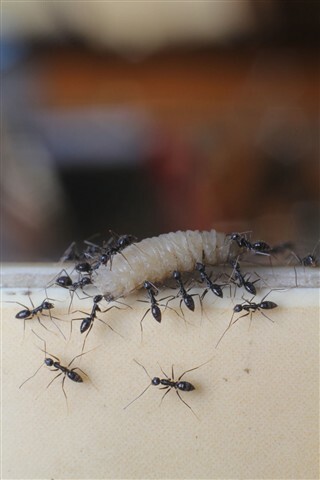 Show us ants in their natural environment, (either one or many). Get up close and personal, but try not to get bitten.... :-) The ant/ants should be outside, not under studio lights. Keep the background of your entry intact so we can see how the little fellows live and work. Interesting information about your ants would also be appreciated. SIZE DOES MATTER: See below! TITLE: Give your entry a title, not just an IMG number. Photos entered in previous dpreview.com challenges are not eligible to enter this challenge. Sandbagging, and vote solicitation will cause DQ'ing of entries, so don't even contemplate it!